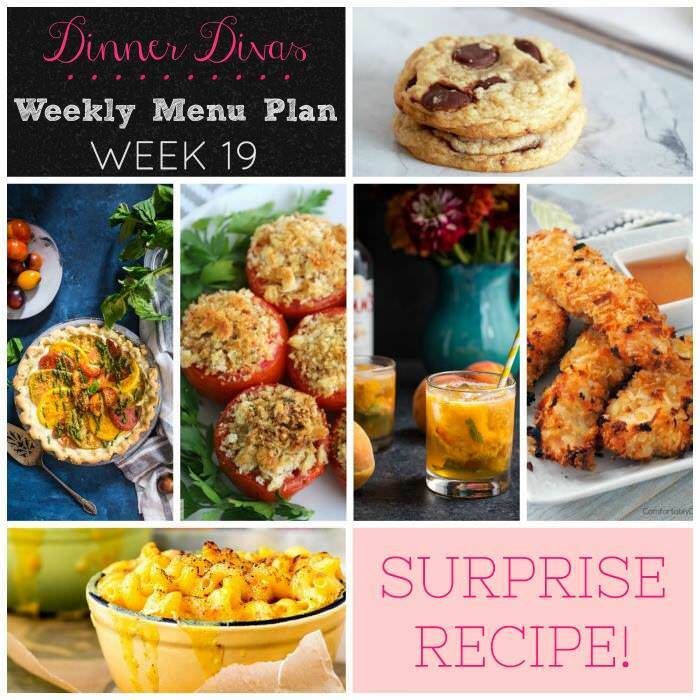 Weekly Menu Plan Week 19 is full of late summer goodness, with a sneak peak of fall comfort food to ease into the change of seasons. Can you believe that it’s nearly the end of August? Where or where did summer go? 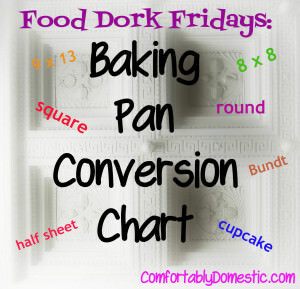 I’m so thankful to have these weekly menu plans because we’d probably eat nothing but cold cereal and carry out pizza this summer if the menu wasn’t planned for me ahead of time. I wish I were kidding. Living near one of National Geograhic’s Best Adventure Towns means nearly non-stop company all summer long. I love all of the visitors, but at this point of the summer, I can barely hold everything together with duct tape and bubble gum. 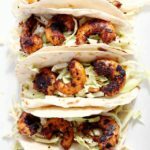 Having a menu pre-planned is a real life saver! I love the combination of caprese flavors in any form. Thankfully, my garden is cooperating with this year’s tomato crop. The neighbor’s barn cats are graciously allowing the majority of the “shiny green balls” to ripen on the vine. I’m positive that the kitties think I’ve planted tomatoes for their entertainment. Don’t get me wrong! I greatly enjoy having built-in mousers out here in the country. What I don’t appreciate is having said mousers harvest my crops before their time. Evidently, the kitties and I have come to an understanding of sorts. 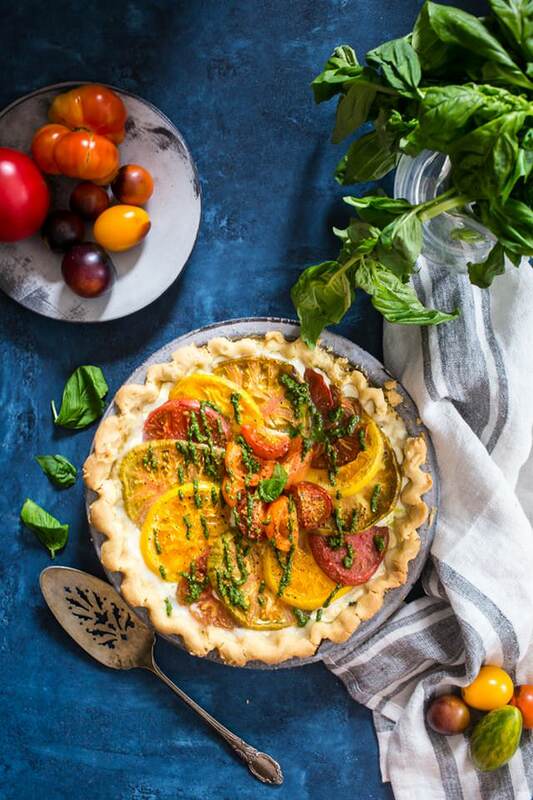 I look forward to using my own garden tomatoes in this Caprese Tart with Olive Oil Crust from Susan/Girl in the Little Red Kitchen. 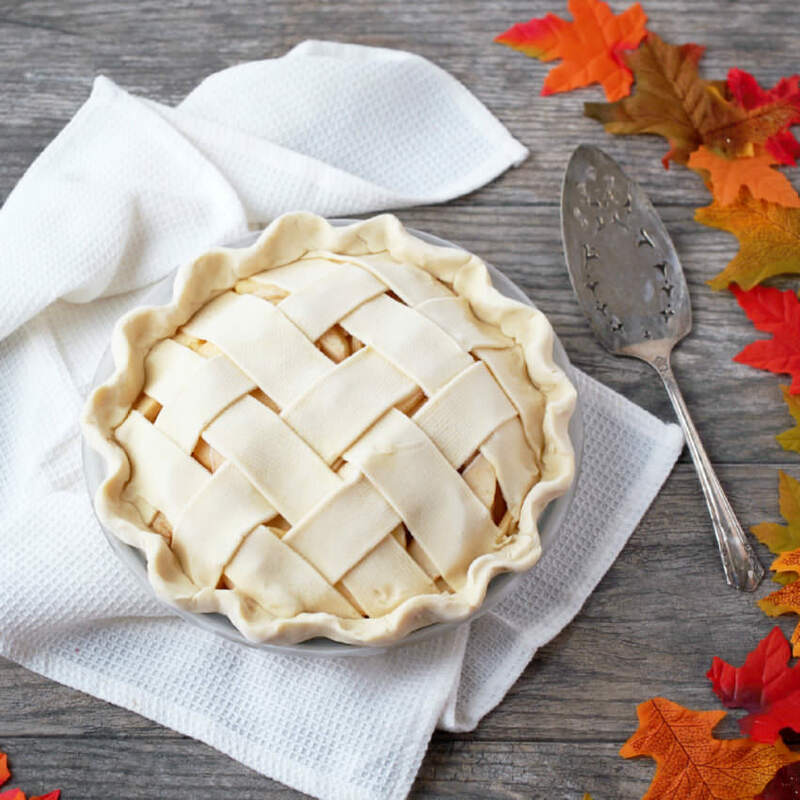 The olive oil crust is about the easiest homemade pie crust ever, so fear not the pastry and dig in to this delicious savory tart. 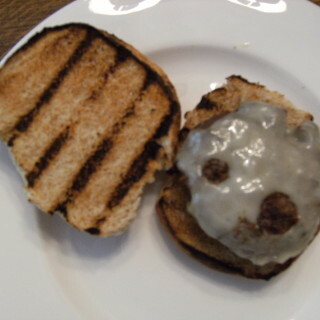 Our Surprise Recipe was chosen with great care for it’s blend of flavors and versatility. Although the photo doesn’t fully reveal the deliciousness involved with the dinner salad, trust me when I tell you that it is not to be missed! 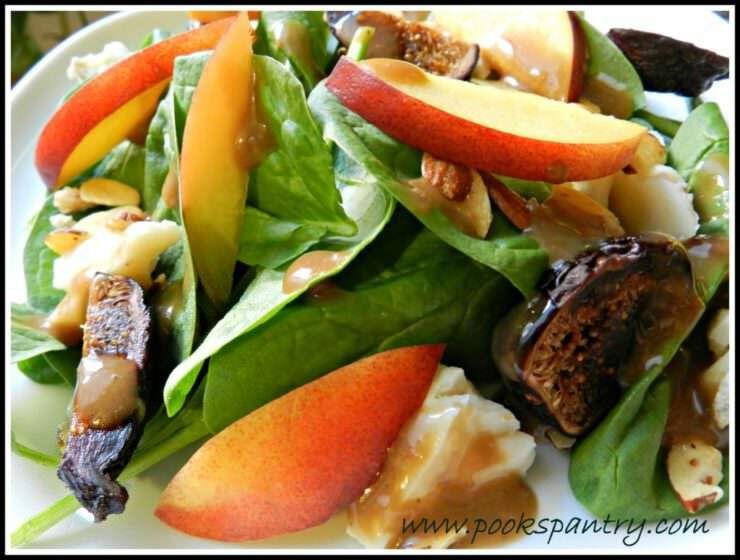 The Spinach, Nectarine, and Blue Cheese Salad from Cheryl/Pook’s Pantry includes fresh figs and a balsamic dressing that is destined to become a new favorite salad topper. I recommend adding leftover lemony grilled chicken for a complete meal that you can feel good about eating. My girl keeps our collective palates rejoicing the very next day with her Stuffed Summer Tomatoes Two Ways. 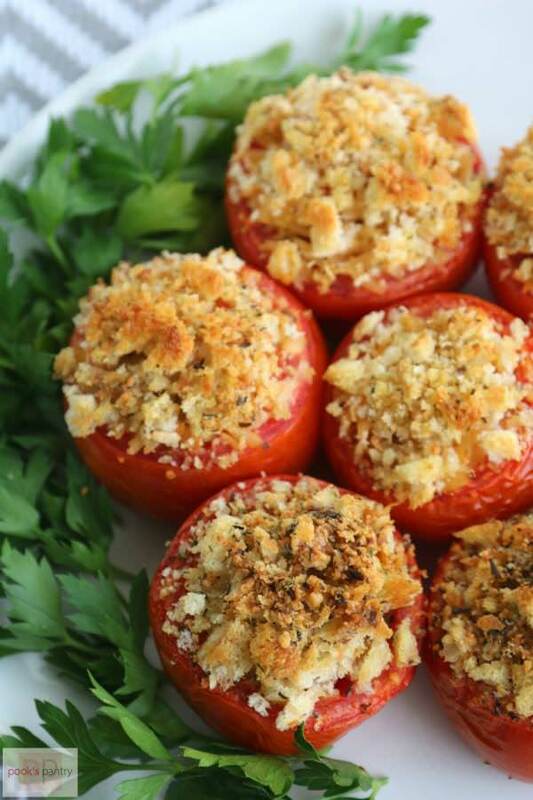 Cheryl includes two great filling options for garden fresh tomatoes: one with feta, orzo, and kalamata olives, and the other with buttery crab meat and breadcrumbs. Choices: you have them. Both options are delicious! I’m cooking up one of my favorite baked chicken dinners that taste like a fried restaurant favorite on Thursday. 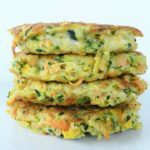 My Coconut Chicken Tenders wrap lean chicken in a crisp coconut breading with a pleasantly sweet crunch. 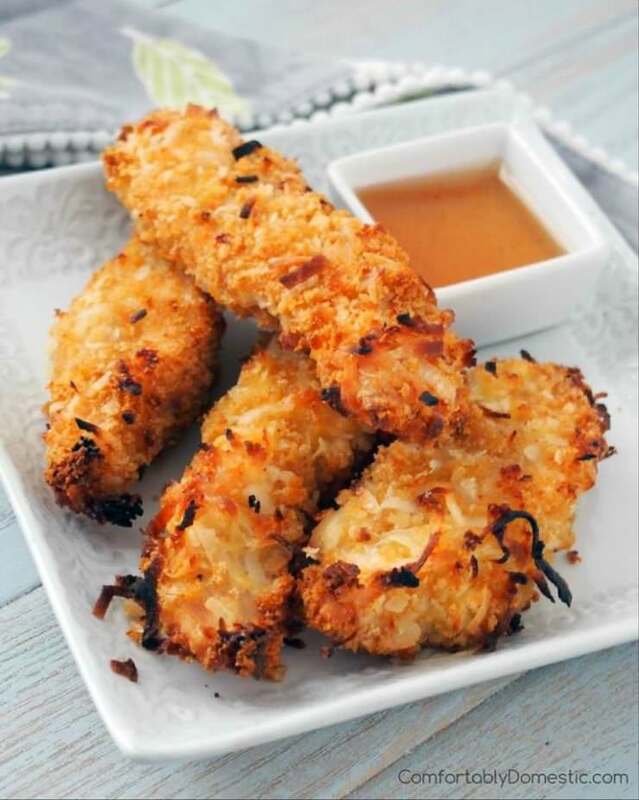 Try dipping Coconut Chicken Tenders in the spicy grapefruit marmalade sauce. 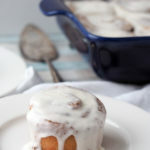 Doing so adds just enough heat to temper each sweet and tender bite. 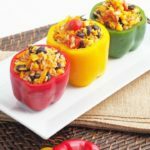 This chicken dinner is a winner with adults and kids alike! Oh. My. Lanta. 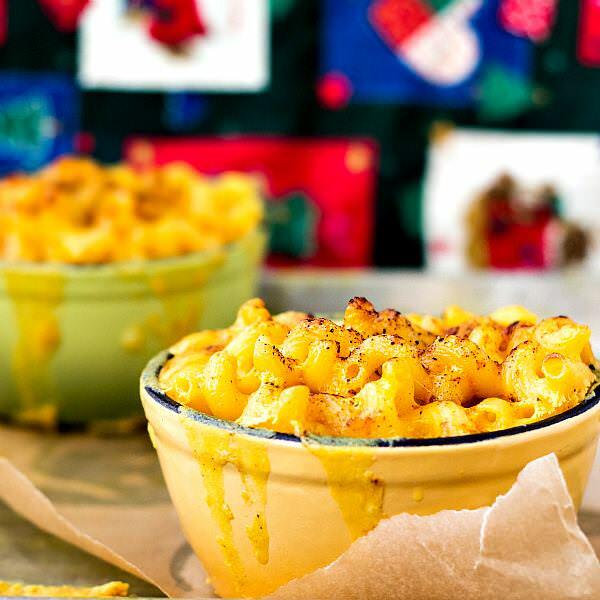 Jenni/Pastry Chef Online shares her recipe for southern style macaroni and cheese recipe, aptly named, The Best Macaroni and Cheese Recipe Ever. As a firm believer that one can never have too many really great mac and cheese recipes in the kitchen arsenal, I wholly support this comfort food at the end of a long week. I should mention that Girlfriend isn’t one to over-sell a recipe just to make The Google happy. 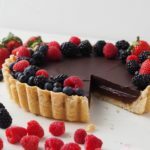 If Jenni says that it’s the best recipe ever, then I believe her! She uses real cheese (a must, in my opinion,) as well as a tasty topping made with crushed Goldfish crackers. How fun is that?! Nothings more fun than a really great chocolate chip cookie, amiright? Whether they are crisp and chewy, made with brown butter and oatmeal, the classic Tollhouse recipe, full of everything but the kitchen sink, or of the gooey deep dish skillet variety, chocolate chip cookies in any form are my all time favorite cookies. 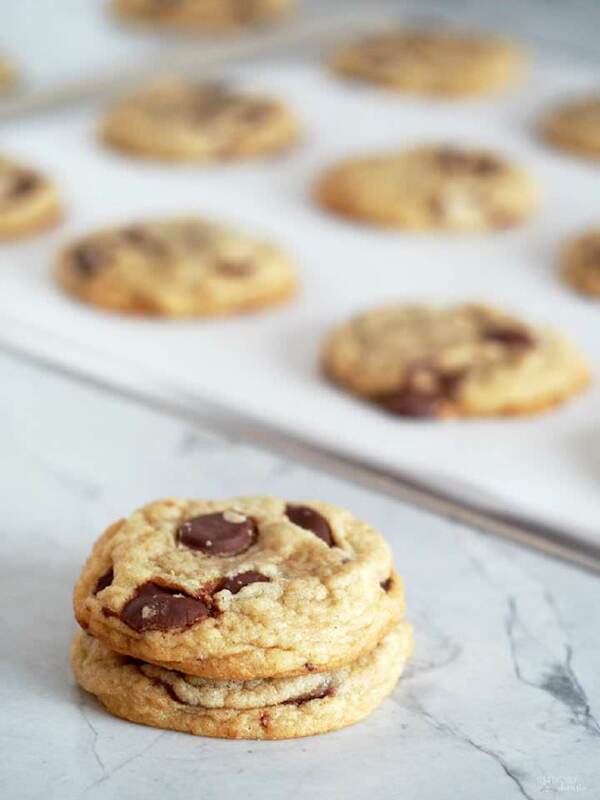 My current favorites are these Soft Chocolate Chip Cookies because they’re loaded with gooey chocolate chips and stay nice and soft in the cookie jar. If you’re like me, you’ll dunk a couple soft chocolate chip cookies into big glass of cold milk. You might even swear to hearing angels sing with every bite. Yeah. They’re really that good. If you’re feeling a little saucy at week’s end, be sure to try Susan/Girl in the Little Red Kitchen’s Peach Pimms. 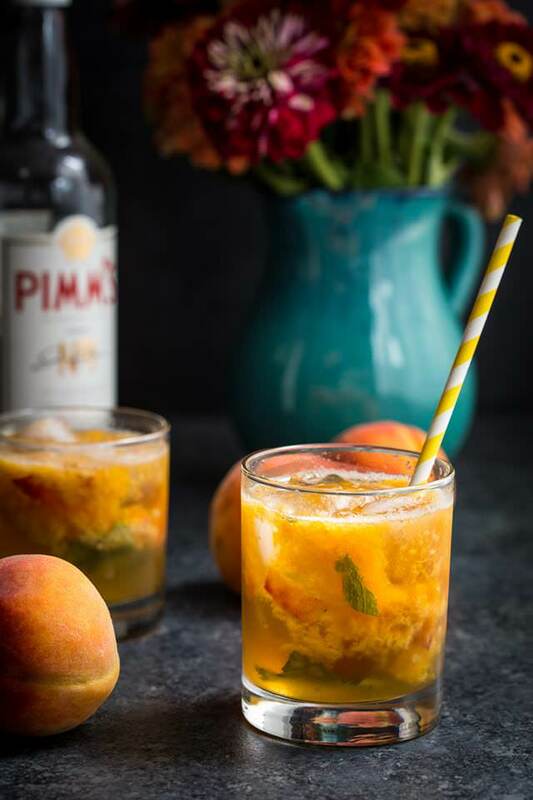 Fresh muddled peaches are the star in her take on the classic British cocktail. I have it on good authority that skipping the gin still yields a delightful sipper. 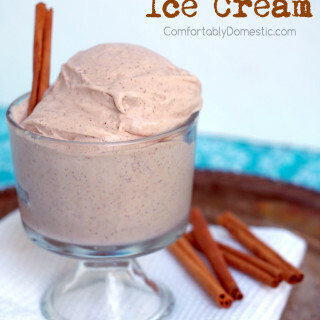 Obviously everyone wins with this recipe. Susan also includes a beautiful photo tour of her trip to London, so it’s definitely worth the click. Tell me! Tell me! 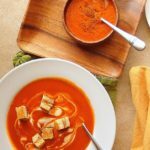 What’s your favorite recipe from the Weekly Menu Plan Week 19? As always, we want to hear from YOU on what you’d like to see on the Weekly Menu Plans. We’re here to help!